Four Commissioners, each elected from a quarter of the county's population, serve with a Presiding County Judge on the Commissioners Court. The Collin County Commissioner's Court approves the annual budget and all county expenditures, sets the county property tax rates, approves the tax roll and determines public works policy such as building programs and conducting elections. The court appoints most non-elected department heads and standing committees and represents the county in state and regional matters. 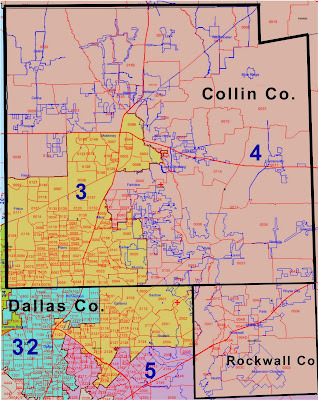 U.S. House of Representatives Districts for Collin Co.
Information about the November 2012 election and Your 2012 Collin Co. Voter Registration Card. 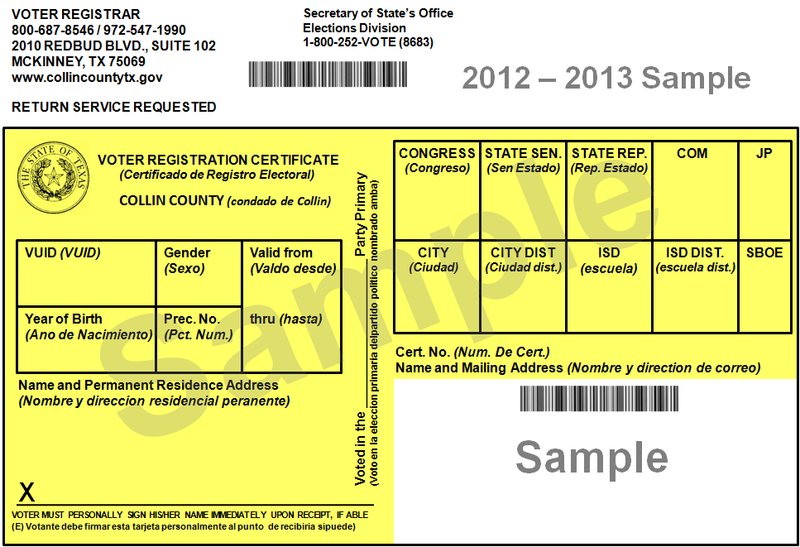 Check your Collin Co. registration status - click here. Check your registration status in another county - click here. Update Jan. 01, 2012 from post, "Voter Registration Cards On Hold Until High Courts Draw Redistricting Lines"
“A lot of voters are calling because their cards are expired,” Kristi Allyn, Taylor County Elections Administrator, said. 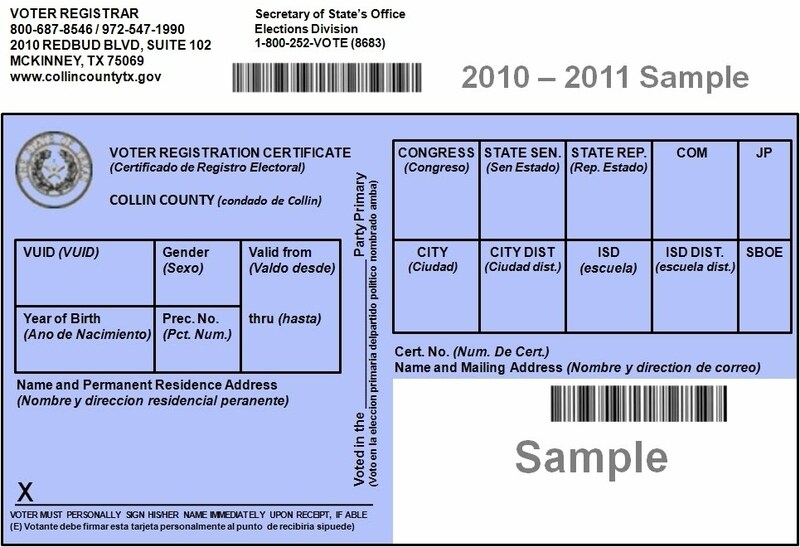 All Texas voter registration cards expired at the end of 2011. 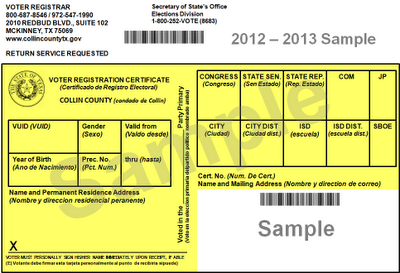 Usually, election officials mail out new cards [in December], but this year, things are a little different. “We will be sending out new cards, we’re not sure when,” Allyn said. Election offices across the state are on hold until the redistricting limbo is all settled. “We’re just waiting at this point to see what districts we’ll have to put on the cards,” Allyn explained. Full Article: Voter Registration Cards On Hold Until High Courts Draw Redistricting Lines – Abilene News Story – KTXS Abilene. Can you find your 2010 Blue and White voter registration card? 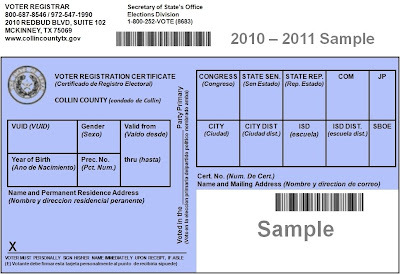 In December 2009 the Collin County Registrar's Office mailed new 2010 Blue and White voter registration cards to every "active" registered voter in the county. Make sure you sign the card on the front by the X at the bottom left of the card. If you have moved and you have not voted in an election in Collin County during the past two years, your voter registration record may have been suspended or even canceled. You must contact the Registrar's office and update your registration information every time you move. 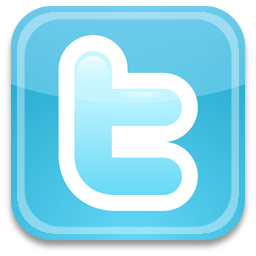 To find the change of address information click here. If you have not moved, but mail sent to your address by the Collin Co. Registrar's Office was for some reason return to the Registrar's office as undeliverable mail, then the Registrar will think you have moved and the Registrar will suspend your voting status. Why does this happen? The most typical reason is if your mail was being held at the post office while you were on vacation and the Registrar's office sent mail to you (e.g. your new voter registration card or other information mailing) during period your mail was held at the post office, then the Registrar's mailing would have been returned to the Registrar's office as undeliverable mail. This returned mail marked as undeliverable causes the Registrar to think you have moved and your registration recorded will be suspended for two years and then canceled. If you checked the "Register to Vote" box when you changed or renewed your Texas Driver's License, but you never received a voter registration card from the Collin County Registrar's Office, you are likely not registered to vote. If your voter registration record has been suspended or canceled, or you have never registered to vote in Collin County you must take action to be properly registered by October 4, 2010 in order to vote in either the November 2, 2010 General Election. Voter Registration Applications must be post marked on or before October 4, 2010 in order for you to be properly registered to vote in the election. It is always good practice to check your registration status at least 45 day before every election by going to the Registrar's website - click here. 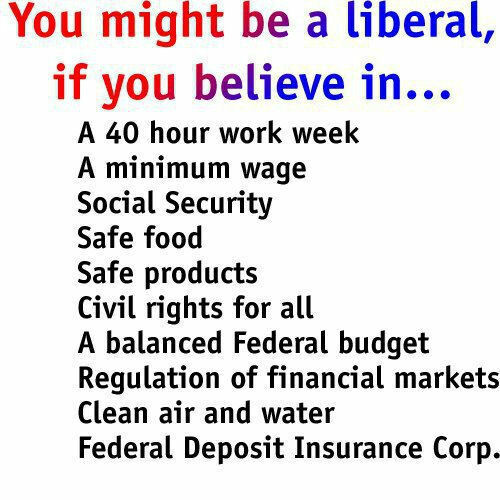 Please remember to take your Voter's Registration Card with you to the polling place when you vote. Several forms of identification (in place of your voter registration card) are acceptable, but election clerks can use the bar code on the registration card to electronically verify your voter registration status in just seconds. This makes the voting lines move much faster for everyone!!! Please DO NOT cut the bar code off of the card!! 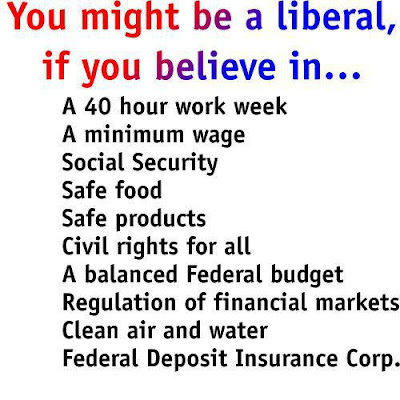 Click here to find the forms of identification, other than your voter registration certificate, that you may use to vote. Sunburst- The New Improved Me: “Understanding Body Changes” boys only6.